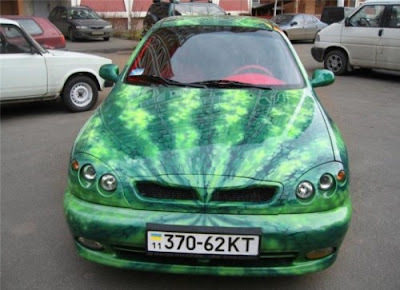 It's a watermelon car, complete with a bright red interior though seedless. 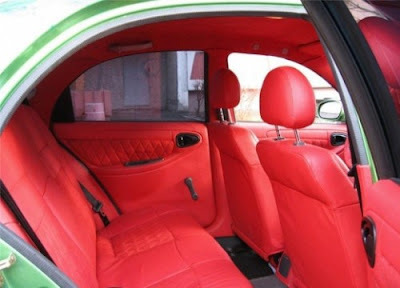 Yet there are few black pieces which sure completes the theme. 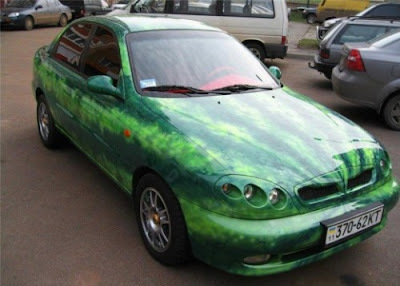 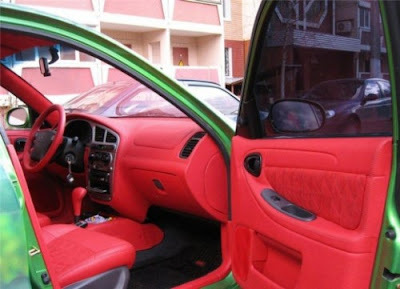 The paintwork is actually really well done, creating this watermelon-themed car.